Hey I am back again with another Halloween horror movie pick from the past! One of my personal favorite topics of horror flicks are that of the creepy doll! Yeah I know we all first think of Child’s Play which is easily one of if not the best creepy doll movie. 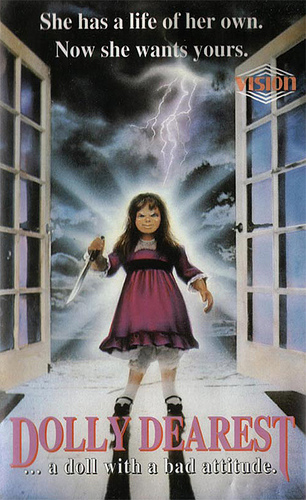 However there are a good number of others that are pretty swell as well like Dolly Dearest from 1991 which is basically a female version of Child’s Play and of course The Puppetmaster series is also fairly decent. 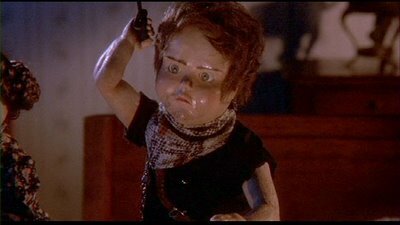 But one of my personal faves is “Dolls” from 1986 from horror legend Stuart Gordon and of course the wonderfully cheesy Charles Band. This short and sweet little creepy horror classic is essentially a dark fairy tale jammed to the brim with freaky living dolls. It follows a group of travelers as they take refuge from a strom in a strange mansion in the countryside owned by a far too friendly elderly couple. However the group consists some people that are far from friendly, two rowdy British punkers and a greedy married couple along with their little girl and the young at heart traveling salesman. It seems that when the lights go out for the night the dolls emerge to teach the naughty adults some lessons. The whole movie is just a whole lot of fun all together. A simple plot can sometimes make for the best type of film and Gordon does a great job with presenting us with a whimsical, dark & atmospheric setting. 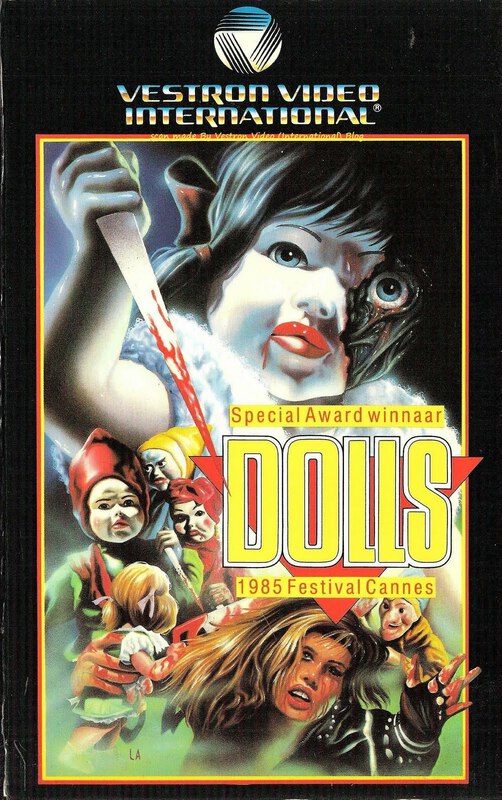 Dolls is also filled with some fun 80’s fx via puppetry, animatronics and some cool stop motion. So this Halloween check this out, it’s a great little horror flick that we will all learn a valuable lesson from, I know I’ll be popping this into my dvd player again this Halloween!